The benefits of strong customer relationships are many. Repeat sales, sustainability and growth as well as lower customer acquisition costs are among the reasons why it is important to forge strong bonds with your customers. 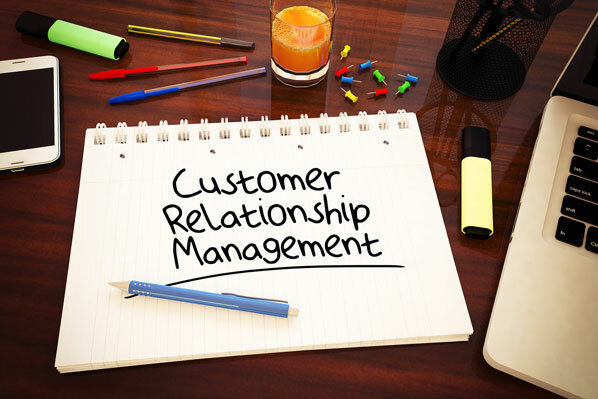 Let’s look at some of the ways you can improve customer relationships. One of the fundamental ways to build long lasting relationships is trust. Gaining your customers’ trust takes time and a lot of hard work but the effort is worth it. Honesty is the best policy and by being transparent and admitting your mistakes when things go wrong, you will gain your customers’ trust and they will reward you with their continued business. Saying what you think your customer wants to hear is a recipe for disaster. By knowing your capabilities and delivering on your promises you will establish a reputation for reliability and consistency. The old saying ‘under-promise and over-deliver’ is as true today as it ever was. What obstacles do you inadvertently put in the way of your customers? Make it easy for customers to do business with you by identifying friction points and eliminating high effort processes. Start by gathering internal insights to find out which parts of the customer journey frustrate customers the most and make streamlining those processes a priority. Reduce customer effort and start building customer loyalty. In her TED talk, Margaret Heffernan said “For good ideas and true innovation, you need human interaction, conflict, argument and debate.” Building on the trust element of strong customer relationships, innovation flows from candid customer feedback and the exchange of ideas. New products and services are often brought to the marketplace as a result of successful client collaborations and these innovations serve to further strengthen the customer/supplier bond. Companies spend tens of millions of dollars in marketing and advertising to create brand awareness while at same time cut costs by eliminating the ‘human touch’. IVR phone systems, off-shoring and the push to self-service have all taken their toll on customer relationships. Rather than reduce the number of customer contact points, choose to enhance the various opportunities you have to communicate directly with your customers. As a product producer or service provider you have a wealth of knowledge at your disposal. Make your expertise available through as many channels as possible. Telephone support, live chat, company blogs and FAQs are all excellent ways to connect with your customers. By putting in place a plan to improve your customer relationships you will be investing in the future success of your business for years to come. Ian Miller is Editor of Customer Service Manager Magazine – the leading resource and community for customer service professionals.